Last week, SUSU Forums launched in an effort to develop a better dialogue with minority communities which are part of the University of Southampton. 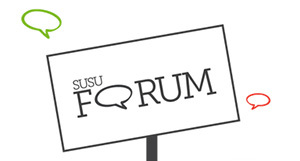 The forum which is part of the Students’ Union website aims to facilitate student discussion including feedback linked to what SUSU can do for students. Currently, the communities which the site has been established for are Winchester School of Art, Southampton General Hospital, National Oceanography Centre and postgraduate students. “The forums are an online tool where students who study at external sites as well as postgraduate students can go to chat to each other. It not only increases networking opportunities, but helps to build a community for these students. They can use the forums to discuss academic ideas and problems, ask questions to SUSU or generally just chat about what they saw on TV last night! In the long term it is hoped that the SUSU Forums will aid the development of discussion and networking among these groups of students. If you would like to start using the service, sign up now on the SUSU website and start chatting.